Burgundy benefits from exceptional geographical and geological conditions, that make its wines so unique, but it can also experience very unpredictable weather, which can drastically impact on the wine quality from one year to another. This relatively small strip sitting north of Lyon from Mâcon to Dijon, is divided into lots of very small parcels, many of them owned by small producers whose families have been in Burgundy for centuries. Because of the huge variety of soils (“terroirs”) in the region, one wine coming from a particular vineyard can taste completely different than one that is only 100 meters away and therefore attract very different prices. 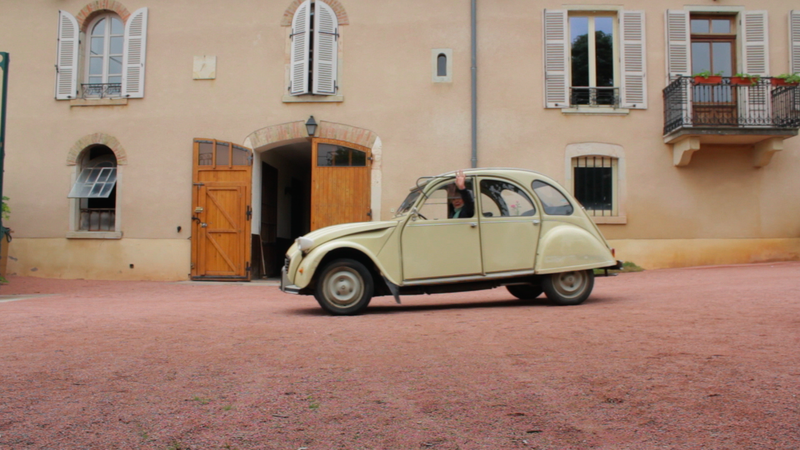 “A Year in Burgundy” was shot in 2011, a year that was “full of drama“, and follows the California-based wine importer Martine Saunier on her visits back to her home country over the course of the year. Born and bred in Burgundy herself, she has formed over the years strong relationships with the local winemakers, seven of whom we get to know and observe throughout the year during the various stages of the winemaking process, which includes many happy moments but also difficulties and hardships. All the winemakers featured in the documentary have very different characters, but what they seem to have in common is an indisputable love for their land, with a philosophy to intervene the least possible with the vines and let nature do her work (to various degrees), so that the wine can best express the “terroir” (that word again!). 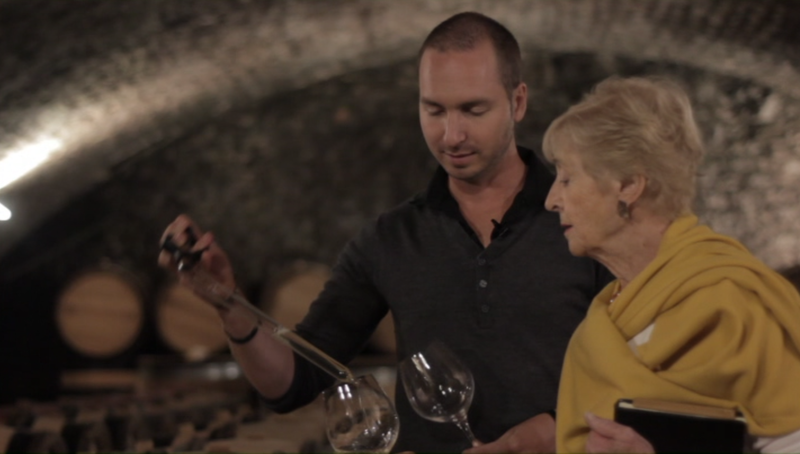 One striking character is Lalou Bize-Leroy, “the uncrowned Queen of Burgundy“, who is now in her eighties, but is still involved in every detail of her winemaking. She used to be the co-director of the domain La Romanée Conti, producing one of Burgundy’s most famous and expensive wines. Lalou feels she has a privileged connection to her vines and tends to each of them by hand every day and is a firm believer in biodynamic winemaking. She shuns all herbicides, insecticides, fungicides, pesticides… “all the -icides,” she says. “They sound just like homicide! We should stop killing things and give them the life force instead,” she explains in the film. 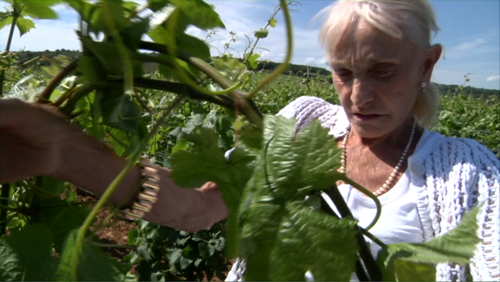 We also meet Dominique Cornin, whose family has been making wine for many generations. His enthusiasm when talking about his profession is highly contagious. And when we see him roam free on his horse carriage through his vines, we can’t help but agree that he’s got the best job in the world. Burgundy has been a wine country since the Roman times and was later developed by Cistercian monks in the Middle Ages. 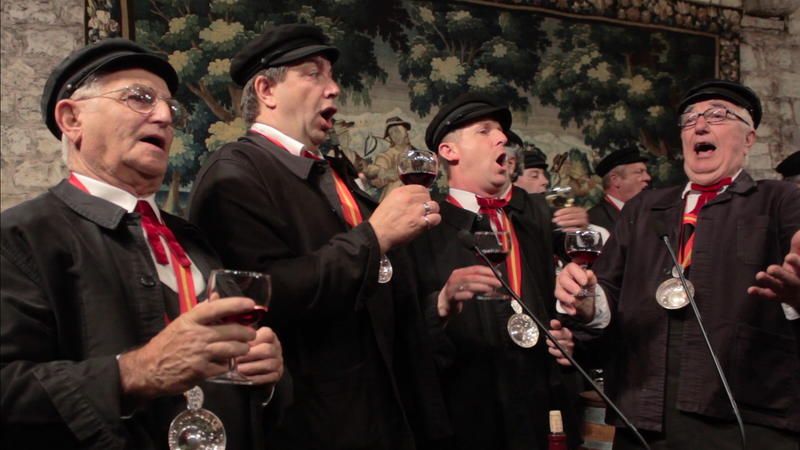 We actually get to witness in the film a celebratory 6-course mid-summer banquet, complete with traditional Burgundy costumes, trumpets and songs taking place at what used to be the monks’ wine-making headquarters, Clos de Vougeot. It is a fascinating insight into this tradition dating back from the 1930’s. 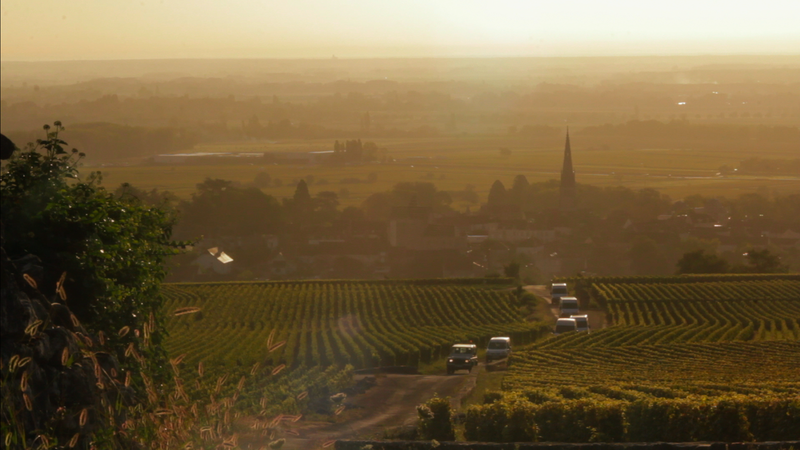 If you like good wine, beautiful french countryside landscapes, and want to know more about this exceptional region and its culture, you will certainly enjoy this documentary. You can buy or rent “A Year in Burgundy” on iTunes. The 2nd part of the trilogy, “A Year in Champagne“, has already been filmed and is currently being shown at festivals around the world. Although it hasn’t been released in Australia, “A Year in Burgundy” is available through iTunes. I was able to preview it thanks to the film’s PR company. Thank you Alisha from Polished for letting me use the still photographs of the film. 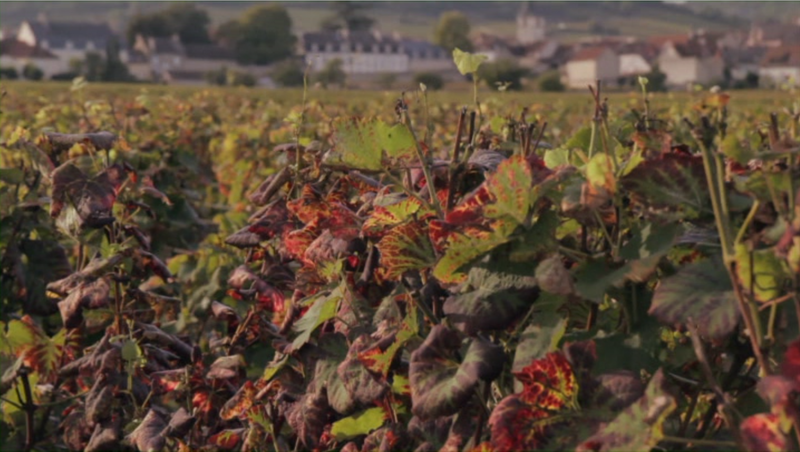 This entry was posted in Wine and tagged Bourgogne, Burgundy, Film, France, Wine. Bookmark the permalink. Hello. Could you tell me if there is a playlist of the songs in this movie.